Situated just outside the borders of Hwange National Park, Hwange safari Lodge is an hours drive from Victoria Falls on the road from Bulawayo. The gateway to Zimbabwe’s untouched paradise, Hwange Safari Lodge provides a luxurious base from which to explore the bush in all its majesty. Enjoy sundowners at the waterhole, while Africa’s giants of nature, the elephants, take the edge off the heat in their unique way. 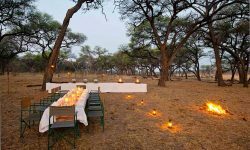 Situated on the border of Zimbabwe’s largest National Park, Hwange Safari Lodge offers a host of general and specialist bush excursions with professional guides. The Lodge consists of 100 tasteful decorated en-suite rooms with air condition, fan and heating for cooler months. 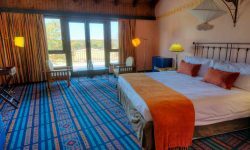 Some of the rooms overlook either the waterhole, the bush, savannah or swimming pool. 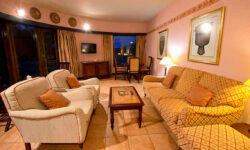 The Lodge also is perfect for Honeymooners, couples, families and groups. A few rooms have TV. 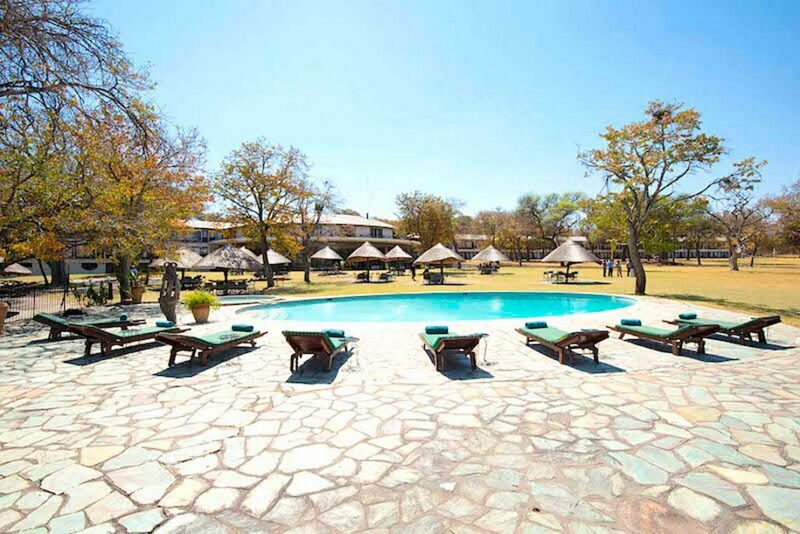 The Hwange Safari Lodge has 2 restaurants, Dingani and Open Air Pool Area. Dingani serves Ala Carte and open air pool area serves snacks and light meals. Activities are many including night game drives, a visit to the animal sanctuary for the wild dogs (painted dogs). Conference facilities are also available for up to 100 delegates.